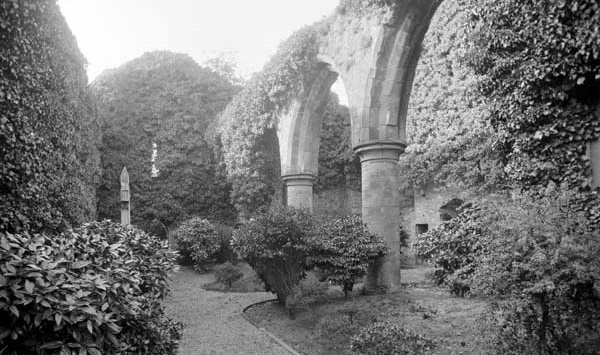 Newtownards Priory was a medieval Dominican priory founded by the Savage family around 1244 in Newtownards, County Down. Only the lower parts of the nave and two blocked doors in the south wall (leading to a demolished cloister) survive from the period of the priory's foundation. The upper parts of the nave date from a 14th-century rebuilding. The western extension and the north aisle arcade were undertaken by the de Burgh family. The priory was dissolved in 1541, and was sacked and burned. It was granted to Hugh Montgomery, who built a house within the ruins, rebuilding the north aisle and adding a tower at the entrance. The Priory was subsequently consecrated for use as a parish church. The Stewart family vault lies within the Priory, as does the large tomb of the Most Hon Frederick William Robert (4th) Marquess of Londonderry, KP. The Colville vault also exists within the ruins. The Colvilles were landlords of Newtownards from 1675 until 1744. The Colville family traces its origins to Scotland in the 1100s, when Philip de Colville settled there following the Norman Conquest. The first member of the family to settle in Ulster was Dr Alexander Colville. He had been a professor of divinity at St Andrews University before coming to the Province in 1630. Dr Colville may have been invited to Ulster by Bishop Robert Echlin, whose mother was Grissel Colville. He was appointed rector of Skerry in 1634 and built Galgorm Castle near Ballymena. His son, Sir Robert, joined the army and in 1651 was a Captain. He married four times. He was knighted at some period between 1675 and 1679, and bought the Montgomery estates at Newtownards and Comber. Sir Robert rebuilt the ruined Montgomery home, Newtown House, which had been accidentally burned down in 1664. He also built a private chapel at Movilla cemetery. A relative, Alexander Colville, was brought from Scotland to become Minister at the Presbyterian Church in Newtownards in 1696. Sir Robert Colville died in 1697, with a memorial at the Priory in Newtownards. His third wife, Rose, died in 1693 and was buried at the Priory. Their son Hugh died in 1701 aged 25, with a similar memorial. Hugh Colville's daughter, Alicia Colville (1700-62), sold the estates to Alexander Stewart in 1744 for £42,000. While I was at Killyleagh, County Down, in 2013, I paid a visit to the site of Sir Hans Sloane's birthplace. Incidentally, as many will be aware, one of Prince Andrew's subsidiary titles is Baron Killyleagh. I have already written about the royal physician and pre-eminent collector, Sir Hans Sloane, 1st and last Baronet. He was born in 1660 in the Sloane family's thatched house at Frederick Street, within a stone's throw of the Castle. I photographed the location and a carved stone inscribed "1637, "GS", "MW", and "Rebuilt 1880". GS likely stands for George Sloane. The old house was demolished in 1970. First published in November, 2013. 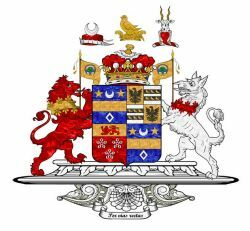 This family is said to derive from LOGAN, or the Valiant (third son of O'Neal, monarch of Ireland, of the blood royal of Heremon), who fled his country in consequence of slaying, in single combat, about AD 595, his father's nephew, Coleman, King of Timoria, in Hibernia; and subsequently passing over into France, and marrying the daughter and heir of the Duke of Aquitaine, himself and his descendants became, for several generations, sovereign princes of that dukedom. SIR HENRY DE LEON (son of Thomas, Duke of Aquitaine), who was brought into England with his brother Thomas, when an infant, by HENRY II, the deposer of his father; and accompanying the Earl of Moreton (afterwards King JOHN) into Ireland, in 1185, obtained those extensive territorial grants in the counties of Longford and Westmeath then denominated Dillon's Country, but altered by statute, in the reign of HENRY VIII, to the Barony of Kilkenny West. Sir Henry married a daughter of John de Courcy, Earl of Ulster, and was afterwards styled "Premier Dillon, Lord Drumraney". 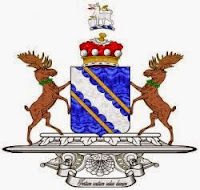 GERALD DILLON, of Drumraney, County Westmeath, chief of the family of Dillon towards the end of the 14th century, left two sons, the elder of whom, SIR MAURICE, was ancestor of the Viscounts Dillon; and the younger, SIR JAMES, of the Earls of Roscommon. SIR THEOBALD DILLON, Knight, of Costello-Gallen, County Mayo, who was created VISCOUNT DILLON in 1622. His lordship married Eleanor, daughter of Sir Edward Tuite, of Tuitestown, County Westmeath, and sister of William Tuite, of Tuitestown, County Westmeath. He died at an advanced period of life, in 1624, leaving so numerous a progeny that he assembled, at one time, in his house at Killenfaghny, more than one hundred of his descendants. THOMAS, 5th Viscount, who married Elizabeth, eldest daughter of Sir John Burke, Knight, of County Galway; but left no issue. LUCAS, 6th Viscount, great-grandson of the 1st Viscount, being the eldest son of Theobald Dillon, third son of his lordship's eldest son, Sir Christopher Dillon, Knight. THEOBALD DILLON, of Kilmore, as 7th Viscount (refer to Sir Lucas Dillon, 2nd son of 1st Viscount). This nobleman, an officer in the army, attached himself to the falling fortunes of JAMES II, and was outlawed in 1690. Arthur, father of 10th and 11th Viscounts. CHARLES, 12th Viscount (1745-1813), who conformed to the established church in 1767, and claimed, and was allowed, the viscountcy, as 12th Viscount, by the Irish House of Lords in 1778. His lordship wedded secondly, a French lady, and by her, who died in 1833, he had a daughter, Charlotte, married in 1813 to Lord Frederick Beauclerk. Henrietta Maria; Margaret Frances Florence; Louisa Anne Rose; Helena Matilda. CHARLES HENRY, 14th Viscount (1810-65). The heir is his cousin, Thomas Arthur Lee Dillon (b 1983), the son of his uncle, the Hon Richard Arthur Louis Dillon (1948–2014). LOUGHGLYNN HOUSE, County Roscommon, is a five-bay, two-storey mansion house, built ca 1715. Although Loughglynn is in County Roscommon, the vast majority of the Dillon estate straddled the border with County Mayo. A third attic storey was built in the 1820s, though suffered a disastrous fire in 1904, when the top storey was not replaced, nor the end bays on the garden front which were reduced to a single storey. There are ashlar limestone walls with quoins and a with roughly tooled limestone basement. The entrance front has a pediment and a pedimented Doric doorcase. In 1903, Loughglynn was sold to the Catholic Bishop of Elphin, who invited the Franciscan Missionaries of Mary to establish a convent. The sisters established a dairy, and Loughglynn butter and cheese was famous all over the world until they ceased this activity in the 1960s. They subsequently opened a nursing home. 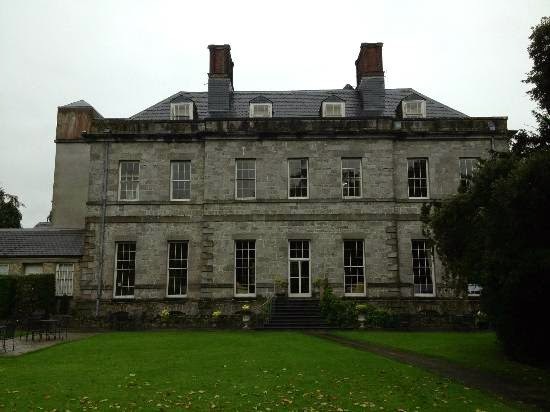 In 2003, the property developer Gerry Gannon bought the convent for under €2m, intending to turn it into a hotel. In 2009, it was transferred to his wife's name. 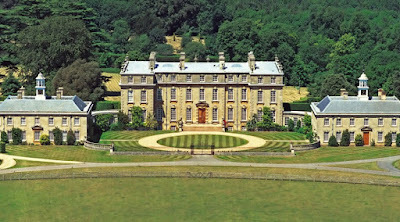 THE DILLON FAMILY lived mainly at their Oxfordshire seat, Ditchley Park. 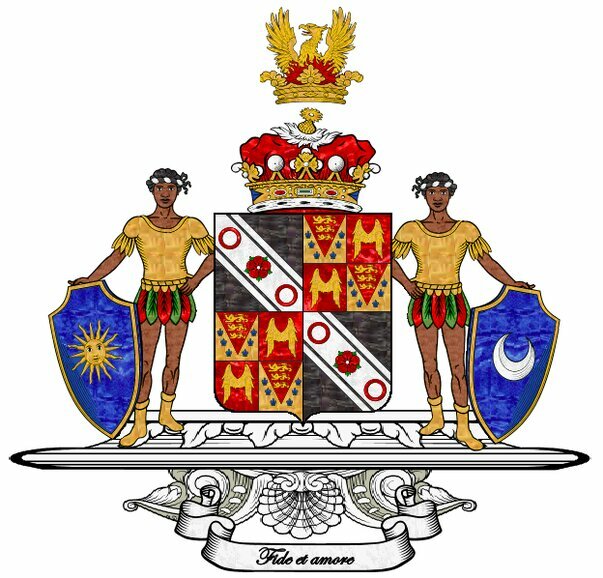 Dillon arms courtesy of European Heraldry. John, who dsp, leaving his estates to his brother. LORD EDWARD SEYMOUR (c1528-93), who received the honour of knighthood for his conduct in the battle of Musselburgh, and was seated at Berry Pomeroy, near Totnes, Devon, obtained an act of parliament restoring him in blood, so far as to enable him to enjoy lands that might subsequently come to him from any collateral ancestor. 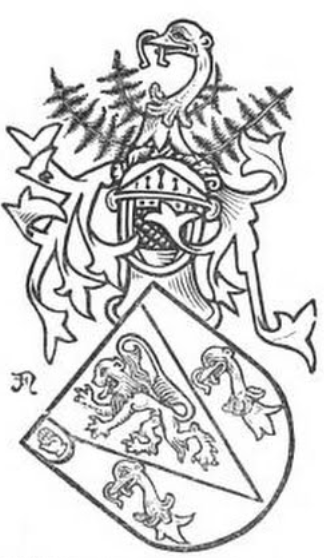 EDWARD SEYMOUR (c1563-1613), of Berry Pomeroy, MP for Devon, who was created a baronet in 1611, denominated of Berry Pomeroy. SIR EDWARD SEYMOUR, 2nd Baronet (c1580-1659); who had received the honour of knighthood from JAMES I, and was returned to two parliaments by the county of Devon in that monarch's reign. In the latter part of his life he lived in retirement at Berry Pomeroy Castle, upon which he is said to have expended £20,000 (£3.5 million in today's money). SIR EDWARD SEYMOUR, 3rd Baronet (1610-88), MP for Devon in the last two parliaments of CHARLES I.
Adhering to that unhappy prince, Sir Edward had his seat, Berry Pomeroy Castle (the ancient abode of the Pomeroys), plundered and burnt to the ground. SIR EDWARD SEYMOUR, 4th Baronet (c1632-1708). This gentleman made a distinguished figure, both in court and parliament, during four successive reigns. He served constantly after his first election to the time of his death, and few had more weight in the House of Commons. In 1667, he promoted the impeachment of Lord Clarendon; was the first that moved it, and carried it up to the House of Lords. Sir Edward wedded firstly, in 1661, Margaret, daughter and co-heir of Sir William Wale, Knight, an alderman of the city of London, by whom he had two sons, and was succeeded in the Baronetcy by the elder, EDWARD, whose eldest son, EDWARD, inherited the Dukedom of Somerset. POPHAM SEYMOUR (1675-99), inherited the estates of his cousin, Edward Conway, Earl of Conway, who dsp under the will of the said Earl, and assumed, in consequence, 1683, the surname of CONWAY. 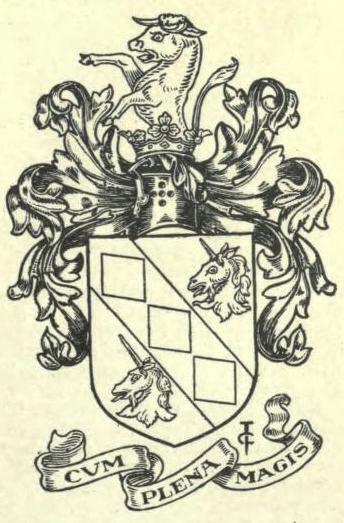 FRANCIS SEYMOUR (1679-1732), who also assumed the surname and arms of CONWAY, and was elevated to the peerage, 1703, as Baron Conway, of Ragley, Warwickshire. 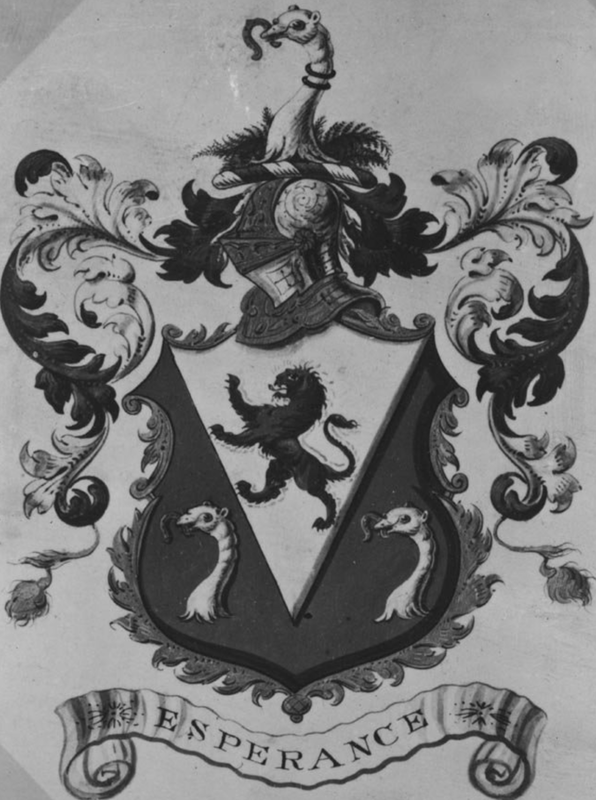 Part of his extensive inheritance being situated in Ulster, his lordship was created a peer of Ireland, in 1712, as Baron Conway, of Killultagh, County Antrim. He did not, however, take his seat in the Irish House of Lords until 1721. In 1728, he was sworn in the Irish Privy Council; and in the following year, Governor of Carrickfergus. His lordship married firstly, in 1703, the Lady Mary Hyde, third daughter of Laurence, 1st Earl of Rochester, by whom he had four daughters; the second of whom, Mary, wedded Nicholas Price, of Saintfield, County Down. FRANCIS, 2nd Baron (1718-94); who was created, in 1750, Viscount Beauchamp and Earl of Hertford (similar honours had been conferred upon his lordship's ancestor, Edward, Duke of Somerset, which expired with Algernon, 7th Duke), with remainder, in default of male issue, to the male descendants of his brother, Field-Marshal the Hon Henry Seymour-Conway. His lordship was installed, in 1756, a Knight of the Garter; and in 1765, he was constituted Lord Lieutenant of Ireland; and the following year, Lord Chamberlain of the Household, having previously filled the office of Master of the Horse. He married, in 1741, the Lady Isabella Fitzroy, youngest daughter of Charles, 2nd Duke of Grafton, by which lady he had thirteen children. His lordship was advanced, in 1793, to the dignities of Earl of Yarmouth and MARQUESS OF HERTFORD. FRANCIS, 2nd Marquess (1743-1822), KG, Lord Chamberlain of the Household, Lord-Lieutenant of Warwickshire, Governor of County Antrim. Henry Jocelyn Seymour, 9th Marquess (b 1958). The heir apparent is the present holder's eldest son, William Francis Seymour, styled Earl of Yarmouth (b 1993). Seat and former seats ~ Ragley Hall, Warwickshire; Sudbourne Hall, Suffolk; Lisburn, County Antrim. Hertford arms courtesy of European Heraldry. Elizabeth Mary; Geraldine Mary; Eily Mary. Marguerite Mary Cecilia; Maureen; Veronica Joan Mary. BALLINDERRY PARK, Kilconnell, Ballinasloe, County Galway, is a plain Georgian house of ca 1740, rising from the plans of east County Galway. 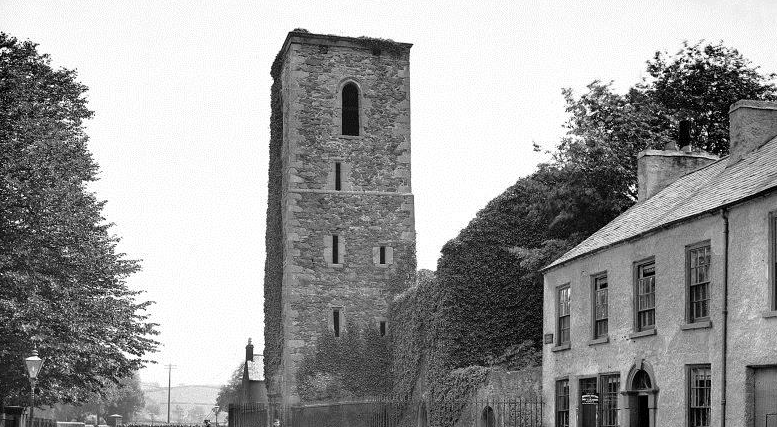 Ballinderry originally belonged to nearby Kilconnell Friary, a Franciscan foundation of 1280. In the late 17th century the land passed to the Diocese of Clonfert and was leased to Henry Stanford, who shortly afterwards leased his house to Lawrence Ward, from an family long resident in the locality. His tenancy was inherited by his sister and passed to her son, Nicholas Comyn. Nicholas Comyn's descendants farmed this small property, sandwiched between some of County Galway’s largest estates, where they were closely involved with horses and hunting. They purchased the freehold from the Church of Ireland following its disestablishment in 1871. Nicholas’s son Andrew married Mary, granddaughter of Daniel O’Connell ‘The Liberator’. Nicholas O'Connell Comyn was the last of the family to live at Ballinderry and when he died, in 1945, the estate was acquired by the Irish Land Commission, which subdivided the property. The house thereafter became derelict. George and Susie Gossip bought Ballinderry in 2000 and began a careful restoration. They reversed some Victorian changes to the façade and, by 2005, work had progressed sufficiently to allow them move in. 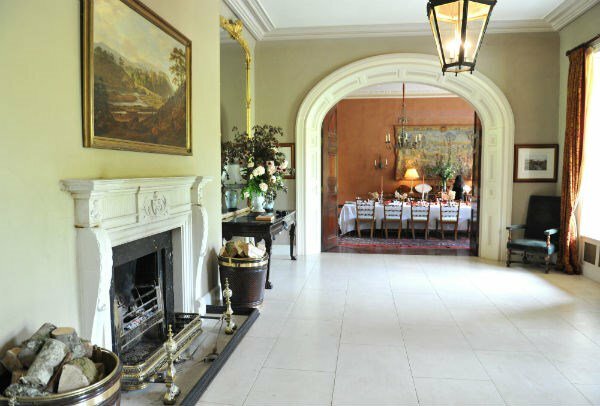 The hall, staircase and landings, which take up a third of the house, have been authentically restored; while the principal rooms have been panelled in the early 18th century style and given early chimney-pieces. George and Susie have filled the house with their collection of furniture, pictures, porcelain and objects. Much of this was passed down from Susie’s ancestors, the Dillon family from nearby Clonbrock, so that it is, in effect, returning home. Ballinderry is surrounded by fine specimen trees, including a large and remarkable London plane tree, rarely, seldom found in a parkland setting. 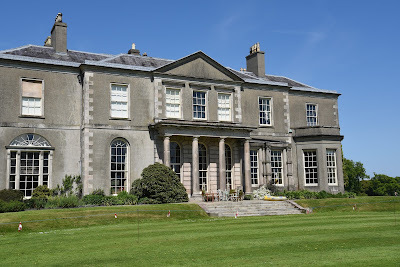 Select bibliography: Irish Historic Houses Association. The last Anglican Lord Archbishop of Cashel and Primate of Munster was the Most Rev and Rt Hon Dr Richard Laurence (1760-1838). The archiepiscopal palace was at Cashel, County Tipperary. THE PALACE, Cashel (now the Cashel Palace Hotel) was built between 1730-32 by Archbishop Bolton, and designed by Sir Edward Lovett Pearce. It comprises two storeys over a basement, with a dormered attic in the high-pitched roof. The Palladian entrance front, of rose-coloured brick with stone facings, stands back from the town's main street. The entrance front is of seven bays, with a three-bay central breakfront. There is a large, panelled hall, with a screen of fluted Corinthian columns and pilasters, a pair of black marble chimney-pieces which face each other on either side; arched door-cases embellished with scrolls; and a modillion cornice. A fine wooden staircase stands in the staircase hall at the side. The three principal reception rooms in the garden front, which face towards the Rock of Cashel, were redecorated in the early 19th century by Archbishop Agar, afterwards Lord Archbishop of Dublin and 1st Earl of Normanton. The Palace suffered damage in the Irish rebellion of 1798. A long room at one side of the forecourt once contained Archbishop Bolton's splendid library. In 1839, when the archbishopric of Cashel was merged with the diocese of Waterford, the Palace was partly used by the Deans of Cashel, till the 1950s. The decision was made by the Church of Ireland to sell the property in 1959. In 1962, it was first opened as a hotel by 2nd Lord Brocket (who also owned the Wicklow Hotel in Dublin and Benner’s Hotel in Tralee at that time). To the rear of the Palace are fine gardens, which include two ancient Mulberry Trees planted in 1702 to commemorate the coronation of Queen ANNE. The garden also contains a private walk (The Bishop's Walk) to the Rock of Cashel, the 13th Century Cathedral, and the ancient seat of the Kings of Munster. Sapphire, three persons erect, under as many canopies of stalls, their faces, arms, and legs, proper: The first represents an archbishop, habited in his pontificals, holding a crozier in his left hand; the second, the Virgin Mary, crowned, with our Saviour on her left arm; and the third, an Angel having his right arm elevated, and a lamb on his left arm, all topaz. The last Anglican Archbishop of Tuam and Primate of Connaught was the Most Rev and Hon Dr Power le Poer Trench (1770-1839). 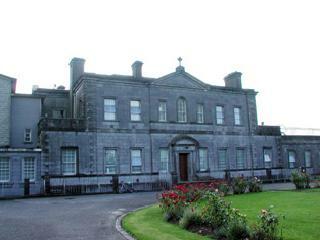 The archiepiscopal Palace, at Bishop Street, Tuam, County Galway, was built between 1716-41, by Archbishop Synge. In 1837 the palace was described as being "large and handsomely built, though not possessing much architectural embellishment." The old palace is now a supermarket and restaurant. First published in August, 2014. This family is descended from HENRY IVERS, who settled in County Clare in 1643. He was Clerk to the King's Commissioners for settling the quit rents, and afterwards became the Deputy Receiver. Mr Ivers was a magistrate and High Sheriff of that county, in which he held considerable landed property. Further lucrative positions followed after the Restoration and, in 1680, Thomas Dinely estimated his income at £2,600 a year, which allowed him to amass a considerable fortune and some 12,000 acres before his death in 1691. Mary Shinkwin; Mildred; Elizabeth Anne. He married secondly, in 1899, Ernesta Carlotta Nina, younger daughter of Surgeon General George Whitla. Mildred Vivian; Annie Muriel Elizabeth. MOUNT IEVERS COURT, near Sixmilebridge, County Clare, was built in 1738 by Colonel Henry Ievers to the design of John Rothery. It replaced an older tower house, shown in Dinely’s drawing, which Henry Ievers may actually have built, since a chimney-piece re-used in the house bears the date 1648. His eldest son was disinherited for marrying “a person of noe fortune” and the estate was inherited by the second son, Colonel Thomas Ivers, MP for County Clare, who changed the family name to Ievers. Henry’s grandson, another Henry, inherited in 1731. Within two years he had begun the construction of a new house, Mount Ievers Court, completed in 1738 at a cost of £1,478 7s. 9d. (about £316,000 in today's money), plus the value of two horses, two mules and various other expenses. The house was built of red brick, which became fashionable for Irish country houses in the 1730s, and has faded to a wonderful rose pink, the plan derives from Inigo Jones’s Chevening in Kent, although the facades are both simpler and more accomplished, diminishing subtly as they rise to the bold cornice. There are two formal fronts: the south front is of cut limestone, and the north front, originally the entrance front, of brick “exquisitely disciplined by the limestone of coigns, strings and cornice”. The builder, John Rothery, who hailed from a prominent family of architects and builders in counties Limerick and Cork, died during construction. In the words of the architectural historian Maurice Craig, “Superlatives have been used about out this house, and with good reason” though he also admits that the building was not in the forefront of fashion since “in style and spirit there is nothing about it which could not be of 1710,” an impression heightened by the combination of heavy glazing bars, small panes and sashes four panes wide. Set above a high basement the interior is plain but grand, with a profusion of plaster panelling, elaborate cornices, simple compartmented ceilings, unusually generous doors with robust joinery, and a splendidly carved staircase with alternating barley-sugar and fluted balusters. The topmost floor contains a long, barrel-vaulted gallery which stretches across the full length of the building, a feature of other Rothery houses such as the long-demolished Bowen’s Court, where it was used for dancing and exercise on wet days. A Naïf painting, used as an overmantel in one ground floor room, shows a faithful reproduction of the present garden front with a splendidly baroque double-curved perron, instead of the present arrangement of steps, all set in an elaborate formal layout that has either largely disappeared or may never have been fully completed. The Ievers family’s prominence in local affairs faded over the years and much of the estate was lost in the 19th and 20th centuries before the house was sold to a cousin, Squadron-Leader Norman Ievers (1912-93), in 1939. Returning at the end of the 2nd World War in 1945, after his retirement from the Royal Air Force, Squadron-Leader Norman Ievers was able to re-purchase the house from his cousin’s daughter and set about a sympathetic and sensitive restoration with his wife. Today the house is owned by their son, Norman Eyre Ievers (b 1973), together with his wife and family. Killultagh includes Ballinderry, Glenavy, Knockmore, Maghaberry and Moira. In 1869, perhaps the most important political phenomenon in County Antrim was landlord influence and, in particular, the power of Lord Hertford, the county’s greatest landowner, and his agent, the Very Rev James Stannus, Dean of Ross and Rector of Lisburn. Their influence on elections was considerable, especially since the secret ballot was not introduced until 1872. During an investigation into the running of the Hertford estate, which was located in the south of County Antrim. Dean Stannus stated that it comprised 66,000 acres, supporting a population of about 200,000. There were 4,000 holdings within the Hertford Estate, of which 1,000 were leasehold and the remainder let on a yearly basis. There were approximately 10,000 electors in the entire county and at least 1,000 of them lived on the Estate. In addition, every elector in the Borough of Lisburn was either a tenant or sub-tenant. The estate rental in 1871 amounted to £58,000 (about £5 million today). This would appear to have represented a formidable source of political power. 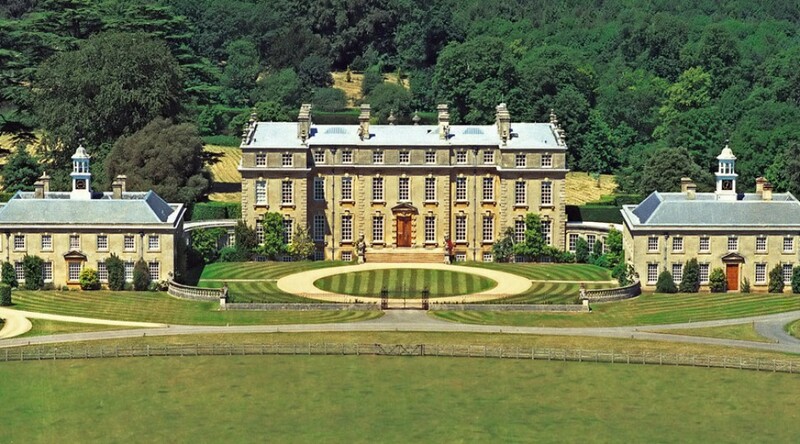 There were only a number of other large estates owned by conservative families in the county, although none, with the exception of the O'Neill estate, could match the Hertford acreage during the Victorian era. Many of the officers who had commanded the forces of the Crown against the Irish in rebellion were younger sons of gentlemen who, under English and Scottish law, did not inherit lands at home. Victory against the Irish gave them the opportunity to set themselves up as independent, landed gentlemen including Sir Fulke Conway. 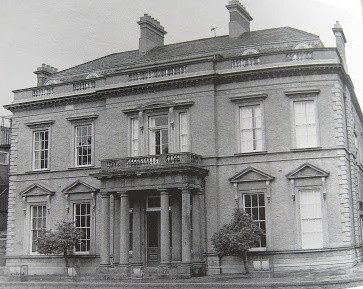 SIR RICHARD WALLACE, 1st and last Baronet (1818-90), KCB JP DL MP, of Sudbourn Hall, Suffolk, and Lisburn, County Antrim, philanthropist, art collector and connoisseur extraordinaire, inherited the Hertford estate from his father in 1871. He was created a baronet in the same year. Sir Richard was the illegitimate son of the 4th Marquess of Hertford, for whom he worked as personal secretary, and inherited his father's estates, and extensive collection of European art in 1871. Wallace expanded the collection himself, and in 1897, after his death, the collection was donated to the nation by Wallace's widow. It is now located in what was his London residence, Hertford House, Manchester Square, London - which houses the Wallace Collection. His bequests to the town of Lisburn included Wallace Park and Wallace High School. Sir Richard's residence in Lisburn, Castle House (above), is a large, imposing mansion of 1880, though he seldom stayed there. 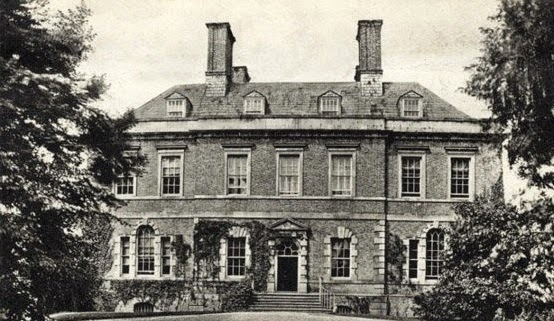 His country house, Sudbourne Hall in Suffolk, was demolished during the 20th century. Here is a fascinating article about Sir Richard and his visits to Ulster. Both the 3rd and 4th Marquesses of Hertford paid little attention to their Ulster estates, the 4th Marquess visiting Lisburn only once in his lifetime, briefly in 1845. Sir Richard, on the other hand, took his responsibilities as a landowner very seriously. In 1873, after his selfless behaviour during the siege of Paris had made his name famous throughout the UK and France, he made a celebrated visit to Lisburn, where he and Lady Wallace received a tumultuous welcome. Having no house in the town until 1880, he rented Antrim Castle from Lord Massereene for his stay in Ulster and it was from there that he travelled in a private railway carriage to the town. At Brookmount station it was stopped and the party alighted. Here, in a marquee in the station yard, were gathered the Lisburn Town Commissioners and their ladies to welcome the distinguished visitor and his entourage. The Address of Welcome from the Commissioners was read by the Rev W D Pounden, rector of Lisburn Cathedral; and Sir Richard, in his reply, expressed his pleasure at being in the district. He became the principal benefactor of the city, paying for the improvement of water supplies as well as the building of Assembly Rooms, a court house (now demolished) and a school, which survives as Wallace High School. 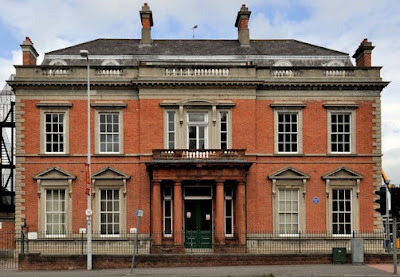 Wallace also employed the architect Thomas Ambler, who had remodelled Hertford House for him, to build a house in Lisburn, Castle House. 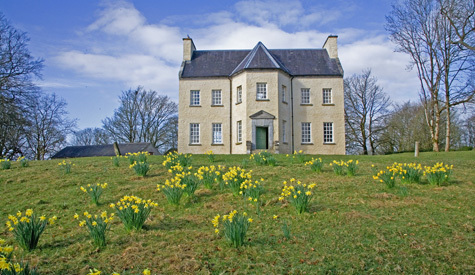 Wallace had hoped that his son Edmond would take up residence in Lisburn, but this was not to be and Castle House was only rarely used. Wallace’s name survives elsewhere in Lisburn, in Wallace High School, Wallace Park and even in a recently opened shopping centre, Wallace Colonnades. Wallace Park is a public park of twenty-five acres created on land presented to the people of Lisburn by Sir Richard Wallace in 1884. The area was formerly the outer park for Castle House, his Lisburn residence. He also furnished it with a bandstand, entrance gates and lodges. The pond was made from what was formerly a town reservoir. Sir Richard died in Paris on the 20th July, 1890. I last visited the excellent Wallace Collection in London in 2015. When the 5th and last Marquess of Dufferin and Ava died in 1988, without issue, Clandeboye estate passed to his widow Serena Belinda (Lindy) Rosemary, Marchioness of Dufferin and Ava. The marquessate itself is now, sadly, extinct. Lady Dufferin inherited a considerable fortune at the time, not least due to the Guinness connection. She also inherited the beautiful Clandeboye Estate, near Bangor, County Down, and a London residence in Holland Park. 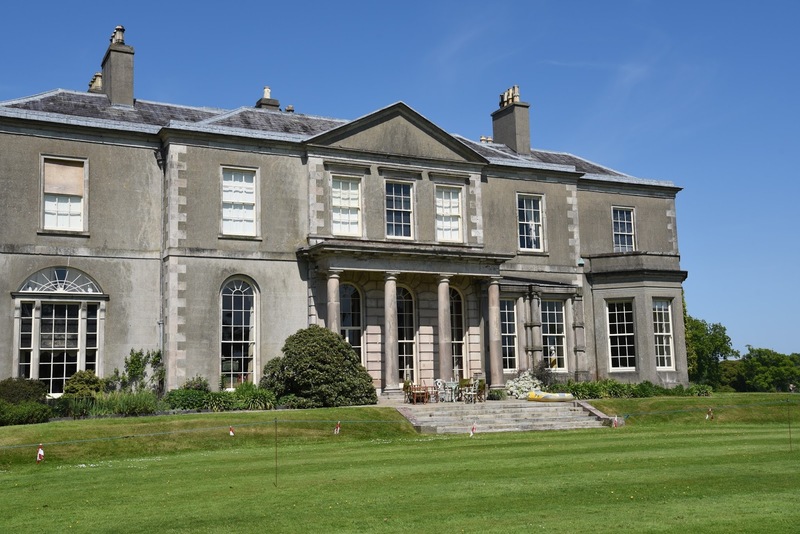 Clandeboye Estate comprises about 2,000 acres of prime Ulster woodland and gardens, making it one of the finest private country estates in Northern Ireland. Lady Dufferin has a continuing interest in the Arts, painting and conservation. Clandeboye Golf Club has now become an integral part of the estate. There is a memorial to the 1st Marquess in the grounds of Belfast City Hall. 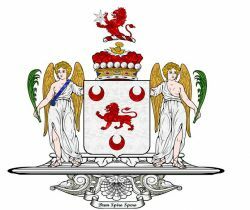 I have written an article in April, 2009, entitled The Four Great Ulster Marquessates. First published in August, 2009. Dufferin arms courtesy of European Heraldry. The ancient and influential family of SMYTH was settled in Ireland for more than three and a half centuries, intermarrying with the houses of England, and always maintaining a distinguished position amongst its great landed proprietors. Sir Richard Smyth appears to have been established there before the beginning of the 17th century: for an indenture, dated 1602, made between Sir Walter Raleigh and Richard Boyle, Clerk of the Council in Munster, and recorded in the Rolls' Office, Dublin, for the sale by Sir Walter, to the said Richard, of certain lands in counties Cork and Waterford. Sir Richard Smyth, of Ballynatray, was appointed by the deed a trustee, in conjunction with Edmund Colthurst and Edmund Coppinger. Sir Richard commanded as captain in the defeat and expulsion of the Spaniards at Castle Ny Parke, Kinsale, County Cork. SIR PERCY SMYTH, Knight, of Ballynatray, distinguished for his loyalty and courage in the rebellion of 1641. He raised 100 men to assist Sir William St Leger, Lord President of Munster, and obtained at the same time, with Lord Broghill and Captain Brodrick, his commission as Captain of Foot. Captain Smyth was knighted in 1629, and was military governor of Youghal, 1645. Margaret; Elizabeth; Isabella; Maria; Catherine. RICHARD SMYTH, of Ballynatray, wedded firstly, Susanna, daughter of John Gore, of Clonrone, County Clare, who dsp. GRICE SMYTH, of Ballynatray, High Sheriff of County Waterford, 1710, who married Gertrude, daughter of William Taylor, of Burton, County Cork, and had issue, RICHARD, his heir, and Deborah. 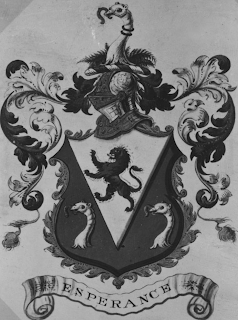 RICHARD SMYTH (1706-68), of Ballynatray, High Sheriff of County Waterford, 1739, who wedded firstly, in 1764, Jane, daughter and co-heir of George Rogers, of Cork, and by her had one daughter, Gertrude. RICHARD SMYTH JP DL (1796-1858), of Ballynatray, High Sheriff of County Waterford, 1821, who married, in 1821, the Hon Harriet St Leger, daughter of Hayes, 2nd Viscount Doneraile, by Charlotte his wife, sister of the 1st Earl of Bandon, and had an only surviving child, CHARLOTTE MARY. CHARLOTTE MARY SMYTH, of Ballynatray, who wedded, in 1848, Charles William, 5th EARL MOUNT CASHELL, who assumed, in 1858, the additional name and arms of SMYTH, and was High Sheriff of County Waterford, 1862. Helena Anna Mary; Charlotte Adelaide Louisa Riversdale. The Countess Mount Cashell, having no surviving male issue, was succeeded at her decease by her elder daughter. Gwendoline Harriette; Sophia Beryl Sheila; Penelope Victoria Minna. 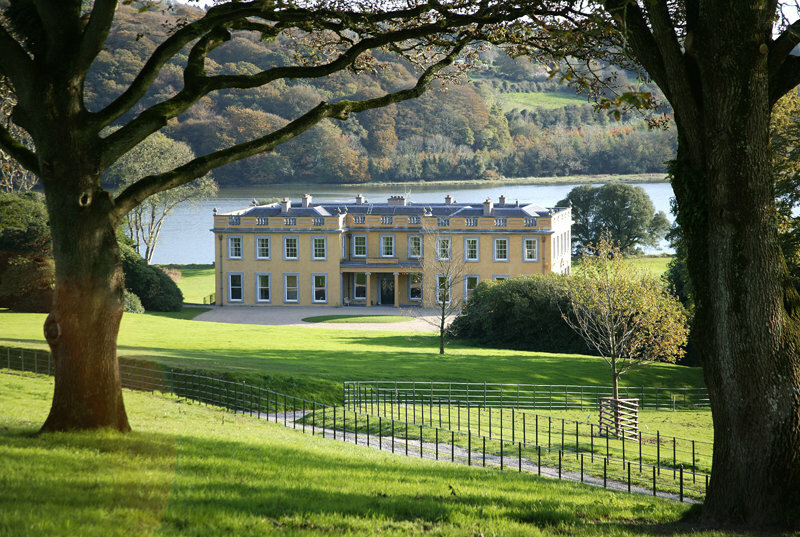 BALLYNATRAY HOUSE, near Youghal, County Cork, stands on the River Blackwater, County Waterford. It was granted to Sir Richard Smyth, brother-in-law to the Great Earl of Cork, in the early 17th century. His son’s "castellated residence" was largely destroyed in the rebellion of 1641, and his successor built a larger, Dutch-gabled dwelling in the 1690s. In 1795 this was incorporated into a very large Palladian house, built by Grice Smyth to the designs of Alexander Dean, of Cork. The house is eleven bays long and five bays wide, with two storeys over a basement and a ballustraded parapet, originally decorated with elaborate urns. The river façade has a pedimented breakfront, while the three central bays of the entrance front are deeply recessed and filled by with a long, single-storey porch. The interior was clearly built for entertaining on the grandest scale. There is a sumptuous suite of interconnecting rooms, all with stupendous views; wide, double mahogany doors and some fine early 19th century plasterwork. The hall has a frieze of bull’s heads (the Smyth crest) and the billiards-room an imaginative cornice of billiards balls and cues. Originally, the bedroom floor had a curious curvilinear corridor but this has since been altered. In 1843, Charlotte Smyth married the 5th Earl Mount Cashell. 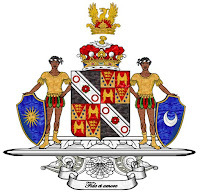 Her son predeceased her, as did her young grandson, Lord Kilworth, so the estate passed to her daughter, the wife of Colonel Holroyd, who assumed the name and arms of SMYTH. In 1969 their grandson, Horace Holroyd-Smyth, bequeathed Ballynatray to his cousins, the Ponsonby family of Kilcooley Abbey, who sold the house to Serge and Henriette Boissevain in the late 1990s. They subsequently carried out a major restoration programme and today Ballynatray is the home of Henry Gwyn-Jones. The situation, on a double bend of the river which gives the impression of a very large lake, is unrivalled. Steep, oak-covered hills slope downwards on all sides while the ruins of Molana Abbey nestle amongst the trees on the riverbank. These contain the classical Coade stone ‘tomb’ of Raymond Le Gros, one of Strongbow’s knights, and a statue of the abbey’s founder, St Molanside. This family deduces its pedigree from common ancestors with the EARLS FORTESCUE, viz. remotely, Sir Richard le Forte, a Norman knight, in the train of WILLIAM THE CONQUEROR; and, more remotely, Lord Chief Justice Fortescue. SIR FAITHFUL FORTESCUE (c1581-1666), Knight, removed to that kingdom early in the reign of JAMES I, and commanded an infantry regiment there. Sir Faithful obtained large possessions in Ireland, amongst which was Dromiskin Castle, County Louth. THE RT HON WILLIAM HENRY FORTESCUE (1722-1806), having represented County Louth in parliament, was sworn of the Privy Council, 1764, and appointed Postmaster-General. Mr Fortescue was elevated to the peerage, in 1770, by the title of Baron Clermont, of Clermont, County louth. His lordship was created, in 1776, BARON and VISCOUNT CLERMONT, with remainder to his brother, the Rt Hon James Fortescue, of Ravensdale Park, County Louth, MP for that county. This nobleman was further advanced to the dignity of an earldom, in 1777, as EARL OF CLERMONT, but without the reversionary grant. He was installed as a Knight Founder of the Order of St Patrick (KP), 1795. WILLIAM CHARLES FORTESCUE (1764-1829), 2nd Viscount, only surviving son of his deceased brother, mentioned above, by Mary Henrietta, eldest daughter of Thomas Orby Hunter, of Crowland Abbey, Lincolnshire. His lordship died at Ravensdale Park, County Louth, unmarried, when the viscountcy expired. THOMAS FORTESCUE, was created BARON CLERMONT (2nd & 3rd creation). Chichester Parkinson-Fortescue, 1st Baron Carlingford, 2nd Baron Clermont (1823-98) (brother). RAVENSDALE PARK, near Dundalk, County Louth, was a large, rather austere, early Victorian house built of granite with a plain, irregular aspect. A lofty Italianate campanile with an open belvedere atop dominated the mansion. 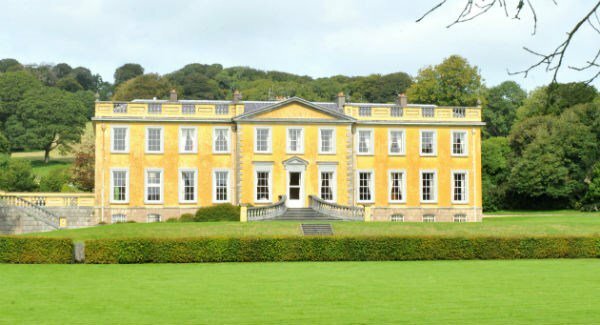 Ravensdale was built for Thomas Fortescue, 1st Baron Clermont, the architect being Thomas Duff of Newry. It was partly two and partly three storeys, though mainly the same height, with an eaved roof. The garden front was remarkably long, being ten bays. There was another front of five bays with a domed octagon at one corner. Ravensdale became the home of Lord Clermont's younger brother and successor, the politician Chichester Fortescue, 1st and last Lord Carlingford (who married the famous Frances, Countess Waldegrave). 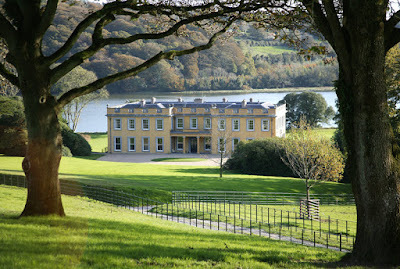 It was sold to Sir Daniel Dixon Bt, father of 1st Lord Glentoran; then sold again to Lord Arran. Ravendale was sold, yet again, in 1920, and was burnt shortly afterwards. Much of the former estate is now a forest park; while the Ravensdale Equestrian and Trekking Centre operates from the demesne. Ravensdale Forest is part of the former demesne. First Published in May, 2011. Clermont arms courtesy of European Heraldry.